Winter’s bare reeds emerge from the white dunes, silhouettes against the white. Here and there the freezing wind has stripped the grass tufts of their blanket. Leaving them peeking through, open to the elements. The night’s frost has formed an icy crust on the snow. A satisfying crunch as I walk. 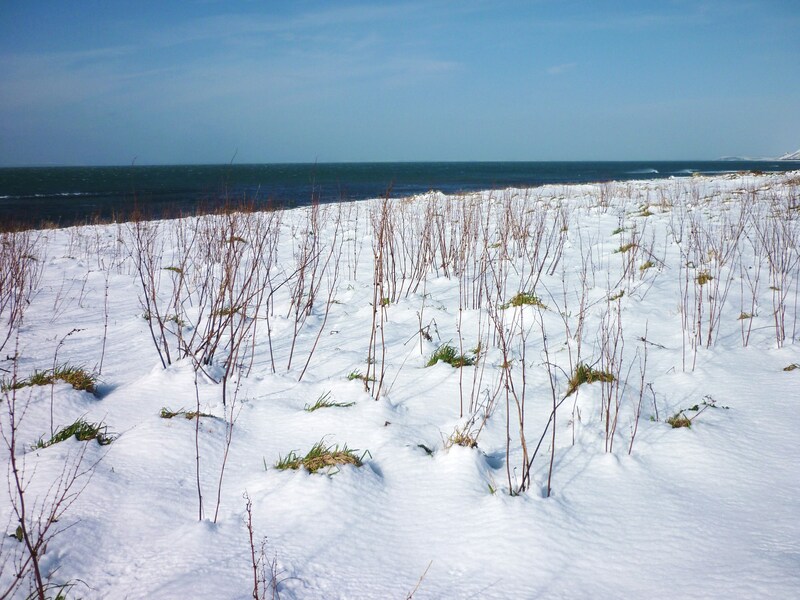 Categories: creation, enjoyment, life, musings, nature, Port William, prose / poetry, scotland, winter | Tags: dunes, reeds, snow, winter | Permalink.